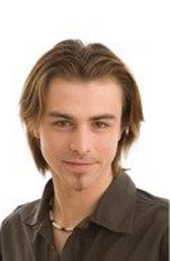 Inaki Fernandez from Madrid, Spain, is one of the UK’s most sought-after teachers of Latin dance both here and abroad. He specialises in salsa, kizomba, Argentine tango, cha cha, and of course bachata. In 2004, shortly after winning several Spanish championships in salsa and bachata, Inaki arrived in the UK and was quickly asked to join the world-famous “Leon Rose Project.” This year sees him forming an exciting new dance partnership with Miriam Oppel. Performances with The Project have taken him around the world, to events across the USA, Europe, South America, the Middle East and Asia. Inaki regularly travels to the Middle East, and was the first international teacher to visit Syria. Teaching at a number of different club venues across the UK and fostering a strong community of bachata fans in the process, Inaki is also one of a team of world-class teachers at the prominent Latin Dance Academy in London. The brain-child of salsa heavyweights Susana Montero and Super Mario, the LDA focuses predominantly on dance technique and is fast becoming known as the only place for the serious salsa dancer to learn. Outside of the teaching arena Inaki is an experienced choreographer, having produced and performed in many pieces for television and the music industry across the globe. He has also been invited to judge competitions worldwide. Inaki’s extensive dancing credits include the Thriller Live Musical in 2005, and performing in Maria Torres’ ‘Salsation’ production at Salsa Kingdom in 2008. Many years ago Inaki’s unique footwork and body movement combined with his energy and intensity earned him the title “King of Bachata”. Inaki's dance products are available on Zone Free DVD.